The Bible tells us that parents have a responsibility to train up our children in the knowledge of God. 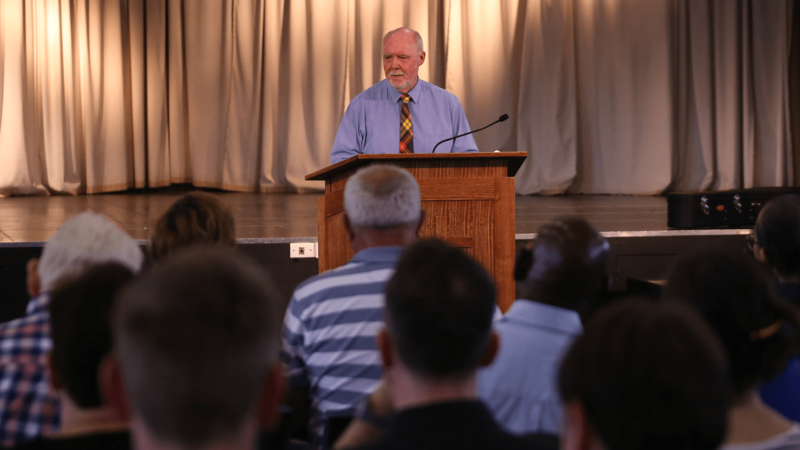 While this is primarily a job for parents, we recognise that the church also has a very special role to play in that process and that we need to support parents in this area. One of the ways that we do this is through Sunday school programs for children of primary school age and younger. Our service is structured in such a way that children remain with their families for the first half of the service so that they might get to experience what it is like to attend church as a family. When it comes time for the sermon, younger children are encouraged to attend age based classes where they are taught from the Scriptures in an age appropriate manner. This also allows parents the opportunity to focus more intently on the preaching of the Word. During school holiday times Sunday school classes are suspended so that children might have the opportunity to see what a sermon is like and what the grown-ups do while they are at Sunday school! The “Nursery” group runs all year round and is for children from 1 year old up to approximately 3 years old. It provides a caring environment with skilled supervision and a focus on early development using simple Bible songs, stories, and Scripture reading. For the older children we are using a curriculum called “Generations of Grace”. This material is a biblically-based and God-centred curriculum designed for children from 3 years old through the 6th grade. Over a 3 year period, the curriculum will cover the historical books of the Old Testament, the life of Christ, and lessons from Acts and Revelation. The children are divided into three age based groups so that learning can be catered to their age-appropriate level. The “Little Tots” group is for children between 3 years old and 6 years old. The “Juniors” group is for children from school grades 1 to 3. The “Seniors” group is for children from school grades 4 to 6.